A trip to the US Virgin Islands conjures images of cruise ports, couture shopping and, of course, pristine beaches. Fun? For sure. Relaxing? Most definitely. Socially — or ecologically — conscious? Not necessarily. But with just a bit of planning, it is possible to visit this strip of scenic islands responsibly. 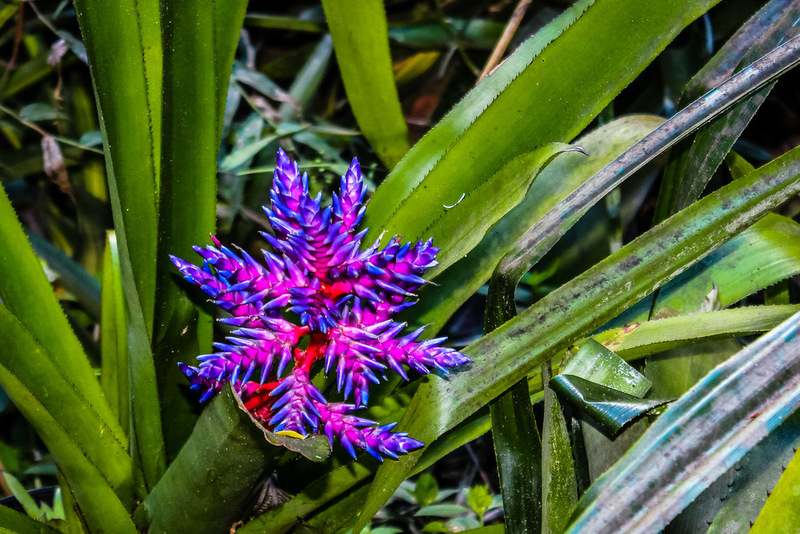 Towering 1,100 feet above Magens Bay’s famed cerulean waters, Phantasea Tropical Botanical Garden just celebrated its first year of business. This carefully cultivated strip of rainforest invites visitors to learn, wander and kick back amidst tropical flora, from broad-leafed palms to over 1,000 vibrant orchids. Owner Patsy Breunlin, a St. Thomas resident for nearly 30 years, spent the last 20 collecting plants and building the paths that weave throughout the property. She even installed benches, platforms and shade shelters, encouraging guests to take their time taking it all in. Bring your eyes to the ground and you’ll find lizards and hermit crabs scurrying underfoot. Turn your gaze up to spot colorful blooms. Look out through the cracks in the dense canopy for views as far as the island of Tortola. And for the informationally-inclined, trailside signs explain the roles of various species and highlight the significance of a complete, interconnected ecosystem. 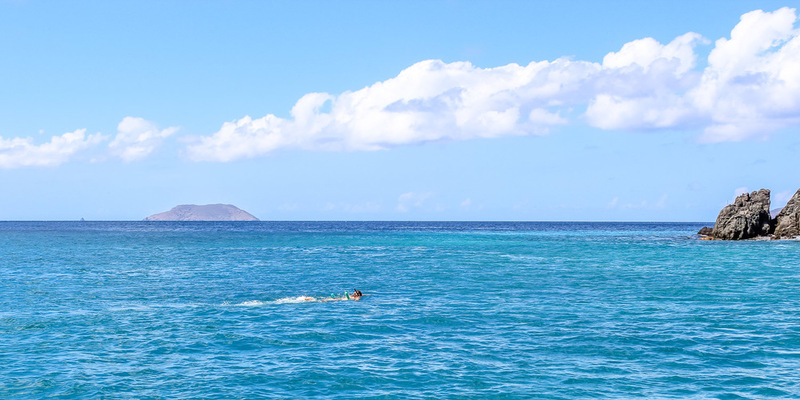 One of the great joys of visiting the Virgin Islands is taking in the distinct characters and landscapes throughout the archipelago. But how do you do it responsibly? While specific calculations are difficult to track down, general data indicates that it’s greener to travel by passenger ferry than by plane, if possible. Fortunately, many connections between the various Virgin Islands are served by such boats, including routes from the USVI to British-controlled territories. These trips tend to be timed to allow either overnights or a full day enjoying a new spot. And while it may be slightly slower, ferry travel can be seen as an adventure in its own right. If you’re looking for a more personalized way to get your sea legs, charter operators abound in the Virgin Islands. Whether booking a private fishing tour or a snorkeling excursion, some pre-trip research can ensure you hire right. Locally owned businesses not only put their profits back into the islands’ economy, they’re likely to have more intimate knowledge to share. St. Thomas-based Take it Easy is a two boat charter company run by a second generation USVI family. Or, consider greening your vacation by stepping back in time on a sailing yacht. With nearly two-thirds of St. John designated a National Park, the island offers plenty of ways to play and stay responsibly. Tourists can explore almost 13,000 acres of submerged and above-water land that provides a safe home for tropical and migrating birds and marine life. Accommodation options range from rustic beachside camping to a selection of luxurious eco-resorts. But the island goes beyond its environmental preservation ethos, showcasing thousands of years of human stories. Miles of hikes pass colonial ruins set amidst the slender trunks of bay rum trees. And a temporary museum at Cinnamon Bay showcases the island’s two archaeological digs, drawing visitors into the ancient past of the region’s indigenous populations. St. Thomas’ retiring thoroughbred racehorses — yes, the island has a racetrack — get an unusual second career and forever home with Golden Age Ranch. Founded by a former paratrooper and his horse-crazy companion, the 501(c)3 provides their steeds with the rehabilitation and re-training to become reliable trail horses. Guests, mounted according to experience, will meander along Lindquist Beach and stroll along coral reefs in the shallow waters with their new equine best friends. Guides provide a brief riding lesson before setting out and share information about the local wildlife along the way. The horses clearly enjoy splashing and soaking their legs in the lapping seawater, unfazed by the pelicans overhead or occasional hammerhead shark swimming between their legs. 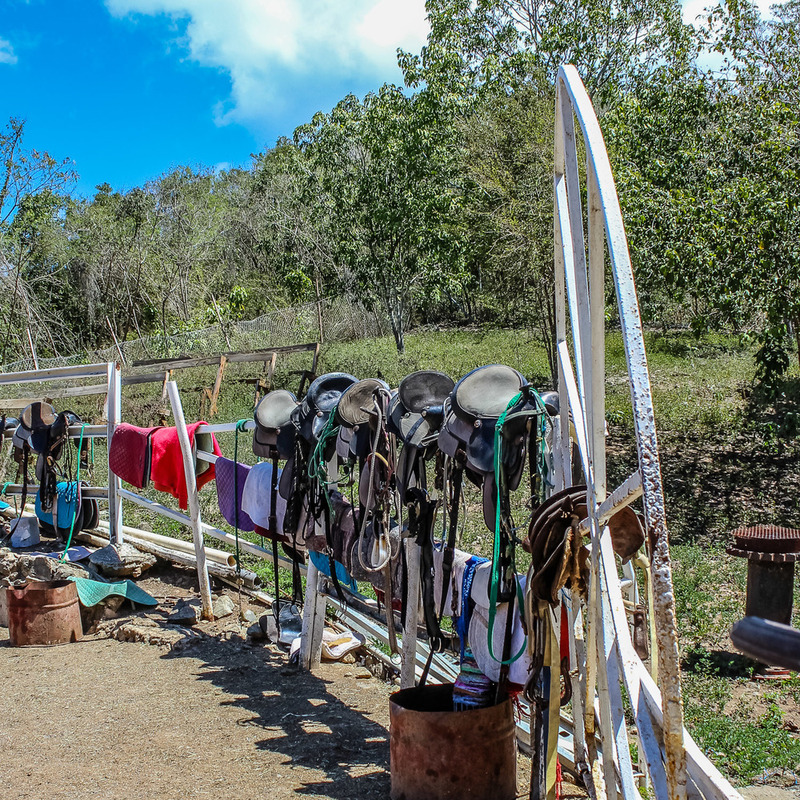 If you’re looking for a chance to get off the beaten path while getting your hands dirty, St. Croix’s Ridge to Reef Farm offers agri-tour packages. Guests can camp or stay in bunks and get to decide whether they want to volunteer any time to the farm. While the accommodations are simple, solar power means there’s no need to sacrifice all the comforts of home or hotel: wireless internet and hot showers are both available. The USDA certified organic farm offers a community supported agriculture program that feeds about 1% of the US Virgin Islands population. And thanks to its sustainable building practices and off-the-grid design, is the territory’s only Green Globe-certified lodging. Claudia Laroye reviews this 100% off-the-grid ecolodge in Jordan’s Dana Biosphere Reserve. Experience the best of Fort Collins with this brilliant weekend guide from local expert Stacey McKenna. Learn about this cruise line’s commitment to responsible travel through Lindsay’s research both online and onboard. A University of Puerto Rico anthropologist offers her suggestions for how socially conscious travelers can experience this island. Learn about a trekking company in Nepal aimed at using tourism as a tool for social and environmental good.